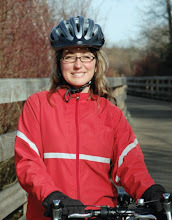 One day to the election but i'm never too busy for Bike to Work Week! That is Bruce Carter (CEO Victoria Chamber of Commerce) and Rob Wickson, President Bike To Work Victoria. 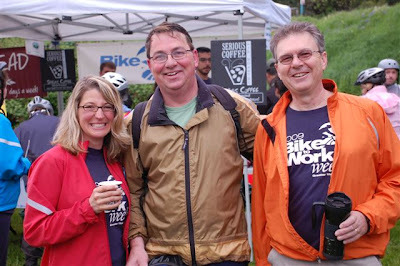 Dave Goudy is on the left - he is one of the owners of Serious Coffee and a great supporter and sponsor of Bike to Work Week. 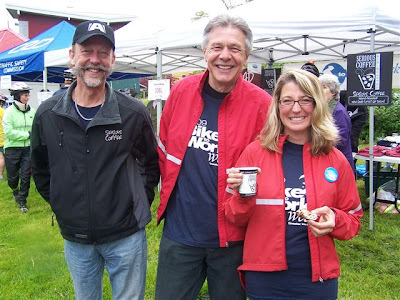 Next is David Cubberley, retiring MLA of Saanich South.